← A new rose. “Weight” revisited. I’ve been tagged in a blog by author and friend, Devorah Fox. With my novel, “The Swamps of Jersey” being prepped for publication, I am rewriting the second story in the series that features Detective Frank Nagler. That story, called “A Game Called Dead,” was actually the first Frank Nagler story, but while I was writing it, I began to focus on one part of the story and over time it became a different story altogether. “Dead” centers on a video game that may have been transferred by its players to the real world, an act that resulted in the death of a college student. It also tells the tale of Charlie Adams, a youthful serial killer whose capture made Nagler famous. The two stories collide and draw in Nagler’s friends and companions, placing them in danger. The story is also about Frank Nagler’s soul, which in “Swamps” is seen as withdrawn and lonely. As in “Swamps,” I hope “Dead” will be a larger story wrapped in a familiar form, and offer some surprises. I am also working on a novel with the working title of “Oswald’s War.” It is about the return to her hometown of Nola Jensen, who while in college participated in a bank robbery in which a police officer was killed, an act from which she has been running for years. She decided to come home in part to show her daughter their heritage – Mt. Jensen, Maine, was settled by their family – and to make peace with her past. “Oswald” is a generational story and I hope a true, grand American tale. The third thing I’m working on is to flesh out the adventures of Smitty, a 13-year-old kid. It’s kind of a Huck Finn tale that is still developing. Smitty was introduced in my short story, “The Summer of the Homerun,” which is available at https://www.smashwords.com/books/view/299057. I’m not sure I have a genre. I tell stories. That said, the stories settle on something, Frank Nagler’s character, Nola Jensen’s return, Smitty trying to find out who he is. “The Swamps of Jersey” is a story of political corruption, urban decay and despair wrapped in the frame of a police procedural. I try to create a world in which the characters can operate, explore and live. Why do write what I do? I write about things in my life. I was a newspaper writer and editor for three decades and have that journalist’s eye for details and complications that come from everyday commerce. So I like to write stories that seem to be a big bloody mess. The challenge as the writer is to provide enough road signs so the readers can follow the progress. As a Navy brat, I moved around a lot as a kid. Until I was an adult it seemed I moved every three or four years. As a result there is a sense of disconnection in some key characters. Frank Nagler, for example, grew up in the city of Ironton, N.J., where he is a police officer, but as connected as he is to the city, there is a distance to Nagler that never goes away. I write to explore these parts of the world that are also part of my being, and translate them to characters. I tend to scribble down ideas as stories. Sometimes the story becomes a finished piece or draft, and sometimes it is just a few graphs. Sometimes I’ll just knock off a whole piece in one settling. That’s newspaper training: The ability to focus one’s writing as if on deadline. I always found it humorous when at an event I would be asked when the story would appear in the paper, and I would say in an hour or so, and the questioner would be surprised. It is hard for people who have never done it to understand newspaper deadline writing. Novel writing is about not losing an idea. “A Game Called Dead,” started with a newspaper item about a break-in at a local college. It grew into the novel after I visited a musty old book store where the owner sat behind his desk piled with books in a dusty, dark corner of the store. “The Swamps of Jersey” came from that story when I was sitting in a park in Dover, N.J., and the line, “There’s more here than meets the eye” popped into my head. That line in the story is assigned to Lauren Fox, Frank Nagler’s love interest in the story, and when it appeared, “Swamps” became more than a police story. “Oswald” has its origins in a dream. I was riding in a pick-up truck with this woman sitting on my lap. The dream was cast in blue, why I don’t know. That woman became Nola Jensen and the town of Mount Jensen, Maine was created. It is modeled on a couple of small Maine towns where I lived. The story became about Oswald when I was writing a scene in which he shoots up the front of the town’s diner. Oswald is a cranky old loner (Isolation again!) and I realized how much fun it would be to have Oswald and Nola, the hippie revolutionary, square off. It’s said that writers are never lonely because they have all these people in their heads. It must be true. I’ve been carrying around all these people for years and they are remarkably patient. If my writing process seems messy, that’s because it is. The order comes from sitting down daily and working. Sue has dedicated most of her professional life to honoring the English language through both editing and teaching. She has worked as a writer and editor for a weekly newspaper group, an online news media outlet and technical journals. She began a full time freelance career in 2011. Her specialty is working with self-published authors, editing many genres of fiction, including romance, erotica, paranormal, fantasy, science fiction and mystery. She has also worked on nonfiction business and health books and graduate theses. Sue also teaches writing skills and English Composition to community college students. When Sue isn’t working, she enjoys reading (imagine that! ), hanging with her three teenage children, watching the New York Mets and New York Jets, and 80s rock music. 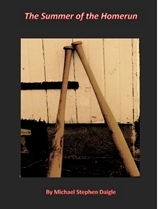 This entry was posted in Fiction and tagged " "The Summer of the Homerun", "The Swamps of Jersey", Devorah Fox, fiction; politics, Oswald's War, Smashwords, Susan Toth. Bookmark the permalink. The stories to come all sound like great reads. More Frank Nagler, yay! Can’t wait!